Bridge to Terabithia by Katherine Paterson is a novel that has resonated with more than one generation of children. It has been read and taught for decades, and even recently made into a motion picture. Much of the power of the book, the reason it has been loved by both students and teachers, lies in the themes woven throughout the narrative. These themes are important and central to our own lives, touching on universal fears and experiences like death and friendship, and are identified by teachers who wish to teach lessons about bullying and other issues. This article explores the book’s major themes, identifying and describing how each is revealed over the course of the story. Note: This discussion draws from every part of the book, and so contains spoilers for those who haven’t read it yet. Most of the story revolves around the growing friendship between Jess and Leslie, and the impact it has on their lives. Their friendship is a healthy one, in which they encourage each other to grow and try new things and face their fears. At the same time, their friendship is a refuge from real-world troubles, such as Jess’s conflicts with his father and Leslie’s alienation at school. Together they are stronger than when they are apart, able to work through their problems using their combined imagination. In this novel, friendship is largely established by the act of giving. Leslie portrays this in the way she offers a stick of gum to those she wishes to befriend, such as Jess and later Janice Avery. Giving is also an important part of Jess and Leslie’s friendship—their thoughtful Christmas gifts to each other help cement their growing bond. Friendship in this book is not gained through selfish acts, but through caring and compassion and selflessness. The act of imagination plays a central role in Bridge to Terabithia. Whenever Jess and Leslie encounter difficulties in their real lives, they escape to the fantasy world of Terabithia. But rather than using this fantasy as merely a way out, they use it to work through their problems. A schoolyard bully becomes a menacing troll, for example, and only after facing down that troll are Jess and Leslie able to face down the bully herself. 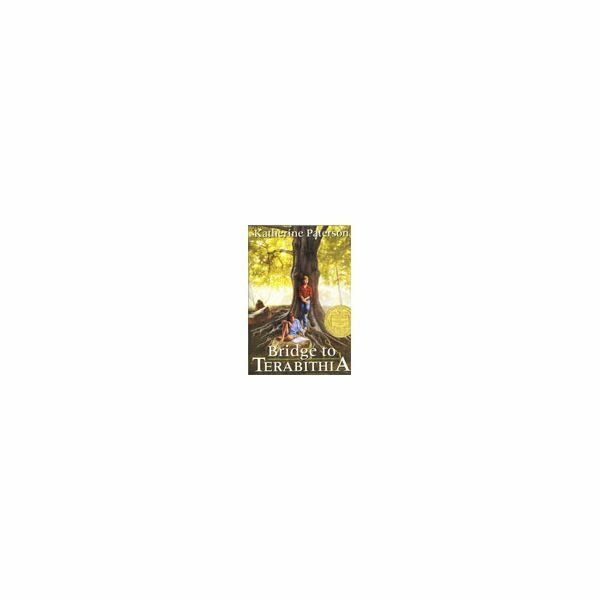 Terabithia allows the protagonists to be themselves, to imagine new possibilities for their real-world lives. After Leslie’s death, it is the imaginary land of Terabithia that helps Jess heal and accept the loss. In this novel, imagination is not just an escape, but a way to deal with and learn to understand reality (much as the novel itself is an imaginary story meant to help people better understand real themes like this one). Both the main protagonists in this novel are different, set apart from their peers and families. Jess’s family is poor, and he is its only boy and enjoys activities they consider feminine. Leslie is the new girl, which sets her apart right away, and her behaviors and the beliefs of her family (not allowing television, for example) continue to alienate her. It is no surprise that they befriend each other, each able to accept the other’s differences. Leslie and her family are some of the first to truly accept Jess’s gift for drawing, and Jess is the only kid in the school able to look beyond Leslie’s often odd appearance and behavior to the person underneath. Miss Edmunds, the music teacher, also plays a central role in both the novel and this theme. She is very different from the other teachers in the school, in the way she dresses, teaches, and acts. She tries to teach her students they are free to be themselves, especially in the songs she chooses to sing, and also accepts Jess’s gift for drawing and Leslie’s differences. Both Jess and Leslie are drawn to Miss Edmunds, perhaps because they see her as the kind of adult they want to be, who isn’t afraid to show the world who she really is. In Bridge to Terabithia the characters are afraid of many things. They are afraid of being outcasts, of not being able to connect with their peers and families. Jess fears his family’s poverty and his father’s disdain. In fact, much of the fear throughout the novel comes from Jess, and it is usually Leslie who helps him work through it. More than once he thinks of himself as a coward, and is initially afraid to swing across the river into the woods where they establish their imaginary kingdom. But with Leslie’s help Jess gains courage, and is able to interact with the other characters (Miss Edmunds, Janice Avery, his father) in ways he couldn’t before. In the end he must also overcome his fear of death, as he deals with the loss of Leslie herself. For a children’s book this novel is unusual, dealing as it does with the death of one of the main characters. Jess goes through many emotions after Leslie’s death, including shock, denial, selfishness, anger, despair, and grief. At first he refuses to even believe she is gone, but he is forced again and again to face this reality and deal with it. One way he deals with the loss is by building the bridge over the creek, facing his fear of it head-on and ensuring that no one else will have to go through the same ordeal he did. He also makes new bonds, with both his father and his sister May Belle, to replace the friendship he had in Leslie. By the end of the novel he is able to look forward, not focusing on his grief but on his future possibilities. Bridge to Terabithia is a novel commonly taught in elementary and junior high schools, used to illustrate a number of literary themes. These guides help to explain the importance of the novel and cover its major characters and concepts, as well as providing a chapter by chapter synopsis. Guide to the Major Themes in "Bridge to Terabithia"